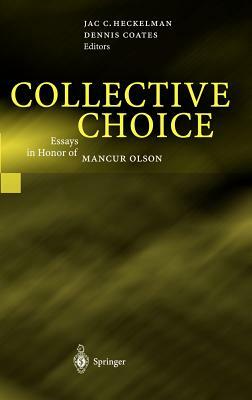 Mancur Olson wrote important books in the area of Collective Choice and is considered one of the founding fathers of Public Choice as a field of economics. The chapters in this volume cover three main areas of Olson's life work: Collective Action, Institutional Sclerosis and Market-Augmenting Government. Some chapters directly assess Olson's contributions, focusing on distinguishing what was original in his works from what was already in the literature, and guaging his impact on the fields of public economics and economic history. Other chapters present new tests and frequently extend his work. Each of the chapters is a new piece of scholarship inspired by and intended to honor Mancur Olson, and extend his influence to another generation of Collective Choice scholars and researchers.